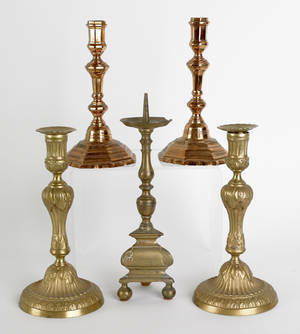 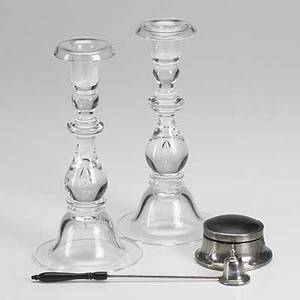 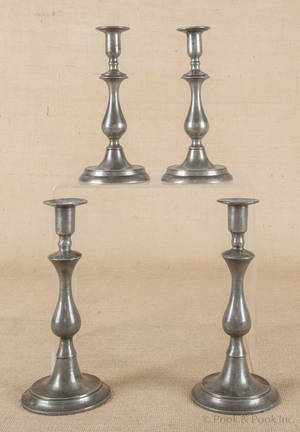 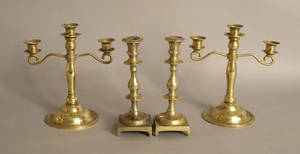 Two pair of glass candlesticks, together with a girondole. 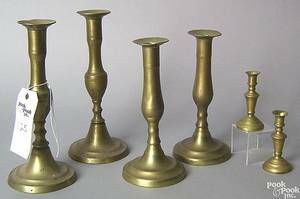 Simon pearce; etc. 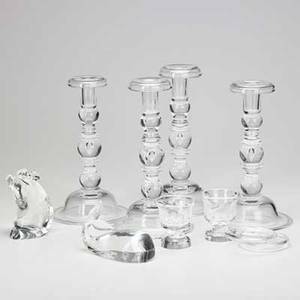 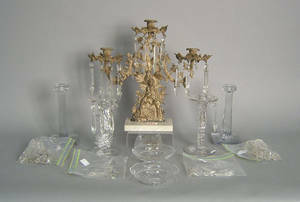 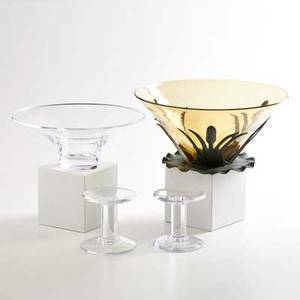 ; pair of glass candlesticks and glass bowl in verdigris base; together with flaring glass bowl, vermont, late 20th c.; clear bowl and candlesticks marked; yellow bowl: 7" x 15 1/2"
Steuben; two pair of ""teardrop"" candlesticks together with whale and pig figures, two cigarette holders and two ashtrays, 20th c.; all marked; tallest: 10 1/2""